LATISSE™ is the first and only prescription treatment approved by the FDA for inadequate or not having enough eyelashes, growing them longer, fuller and darker. LATISSE™ makes lash growth possible because of its active ingredient: bimatoprost. Although the precise mechanism of action is not known, research suggests that the growth of eyelashes occurs by increasing the percent of hairs in, and the duration of, the anagen (or growth) phase. 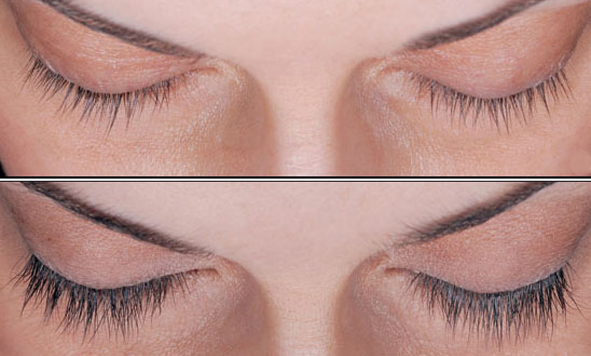 Lashes can grow longer, thicker and darker because bimatoprost can also prolong this growth phase. 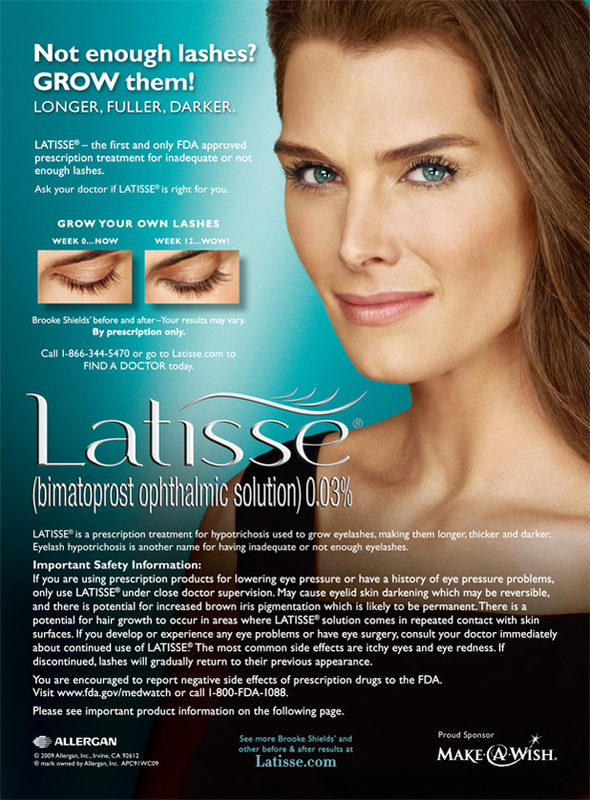 LATISSE™ is FDA approved and effective. It's a once-a-day treatment you apply topically to the base of your upper eyelashes. Patients in a clinical trial saw results in as few as 8 weeks with full results after 12 to 16 weeks. While LATISSE™ is a relatively new treatment for inadequate or not enough eyelashes, it was developed through years of research by Allergan, a pharmaceutical leader with over 60 years of expertise in prescription eye care products.